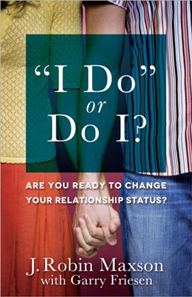 "I DO" OR "DO I"
Are You Ready to Change Your Relationship Status? "I want to get married." If you're a Christian single, chances are good that thought has crossed your mind. You think about getting married and wonder if someday God will lead you to the soul mate He's chosen specially for you. How do I discover God's will for me when it comes to finding a mate? "I Do" or Do I? is the ideal guide to help you answer these questions. It will equip you to think about marriage within the whole scope of your relationship with God and will enable you to discover your unique place in His world--whether single or married.